Even at the best of times communicating can be difficult. When you add in language and cultural differences it becomes very complex. This week on the Make It Right podcast my guest is Mark Yudell, President of Remy Chic. 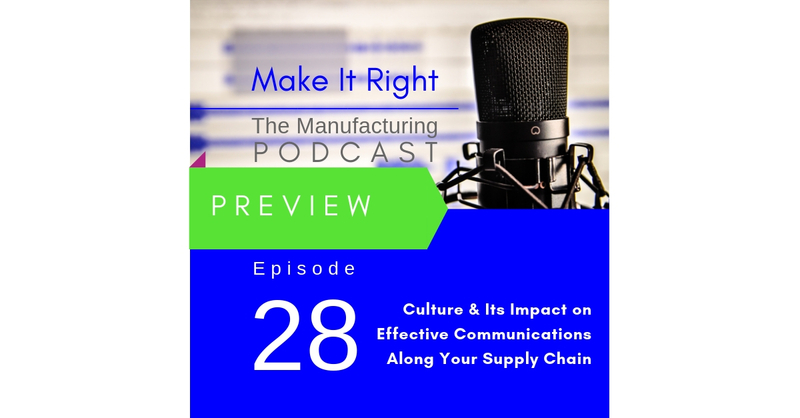 He has worked for years sourcing raw materials and working with manufacturing processes in multiple countries and he provides insights on how to engage in effective communications along the supply chain. Full show coming Friday!